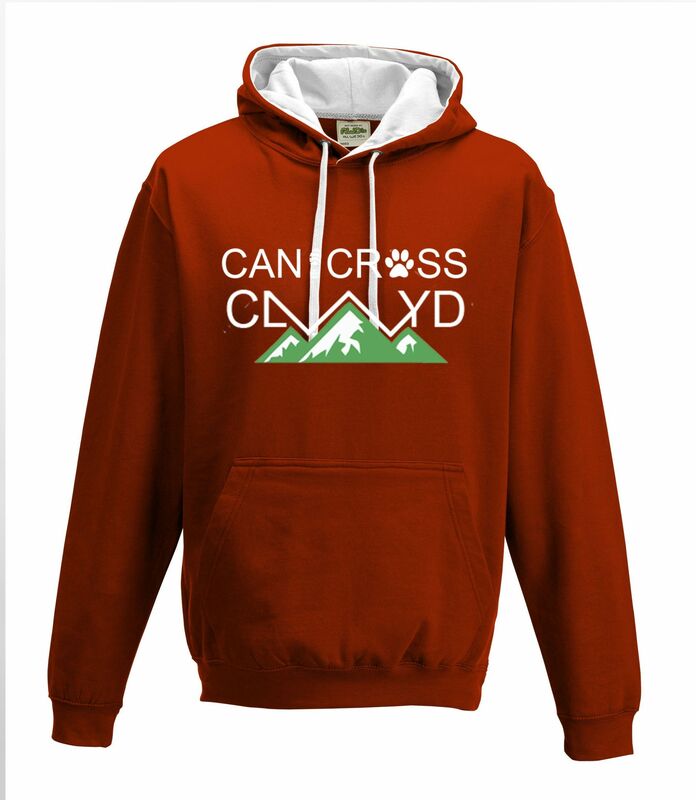 This is a 80% cotton and 20% polyester mix, contrast hoodie. The main colour is red, but it has a white hood lining and drawstrings. It is 280gsm. This hoodie features a large logo on the front, as well as the same logo on the back.